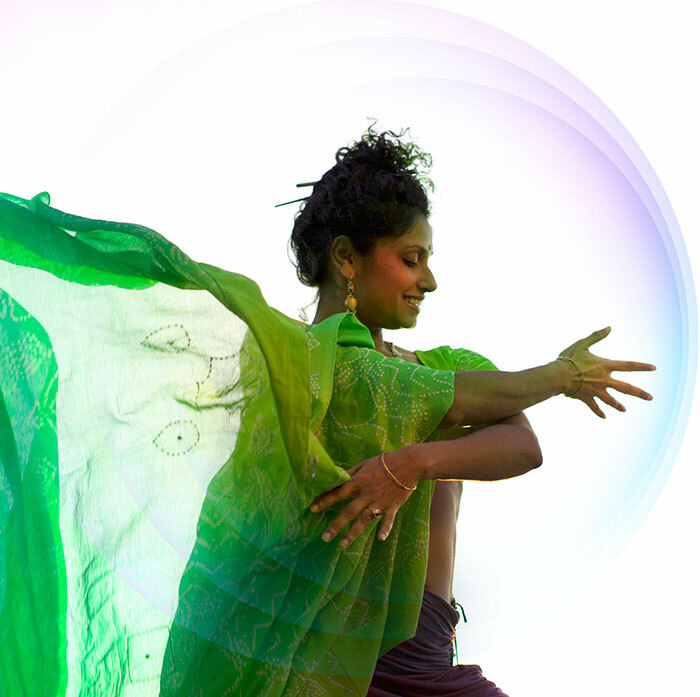 Priya Deepika is an attorney-turned sound healer and experience creator facilitating sonic pathways for healing, transformation and empowerment through music, ecstatic dance and holistic vocal training. Her music is inspired from her deep seeded roots in South India intertwined with Jazz, Blues, classic R&B, House and Techno, evolving traditional with electronic music. “Hear in My Heart” is her first solo music project where raaga & mantra is blended with English lyrics creating a devotional soundscape that’s appreciated across cultures. Priya’s music began as a response to the diluted version of what yoga festivals feature as Indian- inspired devotional music. As an American born woman from S. Indian Vedic lineage, Priya is committed to bringing authentic devotional music from her lineage and inspiration, integrating Indian Classical traditions with a modern eclectic and experimental sound. As She goes deeper into learning from her lineage, Priya comes back to the timeless principles of Naada Yoga and other esoterica practices of mystic music for healing and transformation.